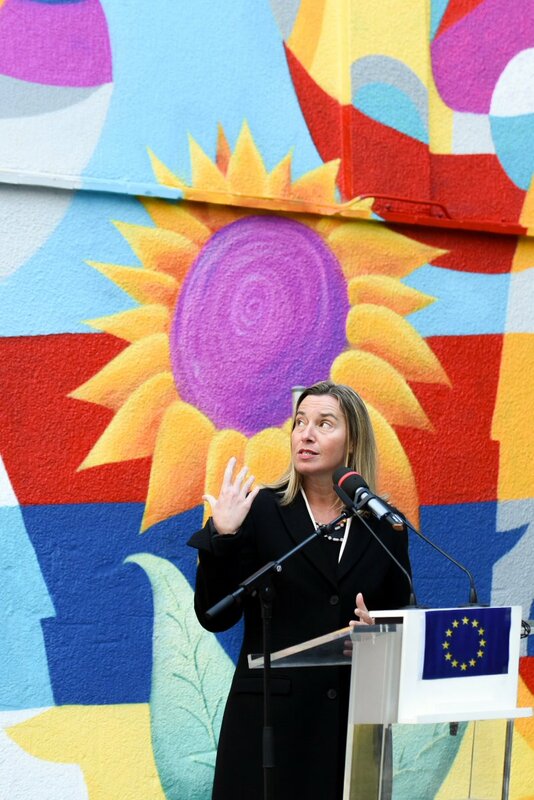 ‘This remarkable piece of art brings the Balkans to where they belong, which is at the heart of Europe, the EU High Representative/Vice-President Federica Mogherini said on 4 April at the presentation of the new street art mural. “My main goal as an artist during this creative process was to represent my city of Sarajevo, Bosnia and Herzegovina, and the Balkans in a different, more positive light. 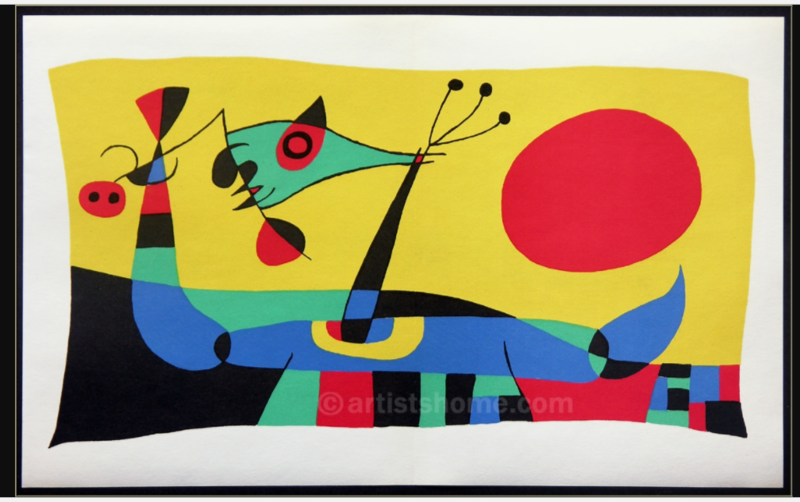 Art has many purposes and one of them is to connect people. I hope that with this work I came close to that goal,” Druškić said at the inauguration. 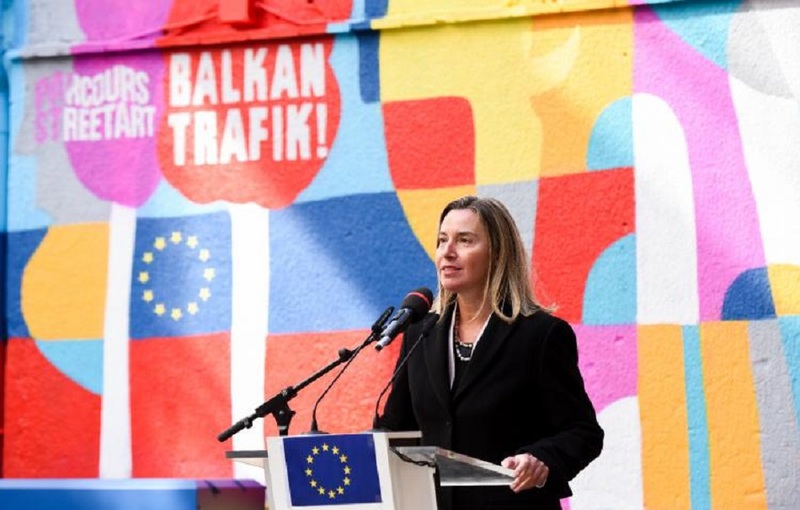 “This mix of colours gives the sense of the diversity of the Balkans coming together and bringing light”, High Representative Mogherini said. 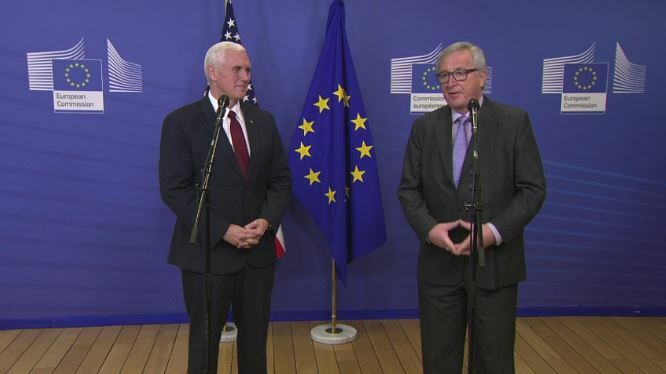 She stressed the mural would be ‘a very powerful reminder for the citizens of all of Europe, and the institutions of the European Union, to complete the work of reunifying our continent’. “This would also be the best way – possibly the only way – to mend the wounds of war in the region once and for all and to do it in this colourful, joyful manner that the younger generation of the Balkans always expresses. 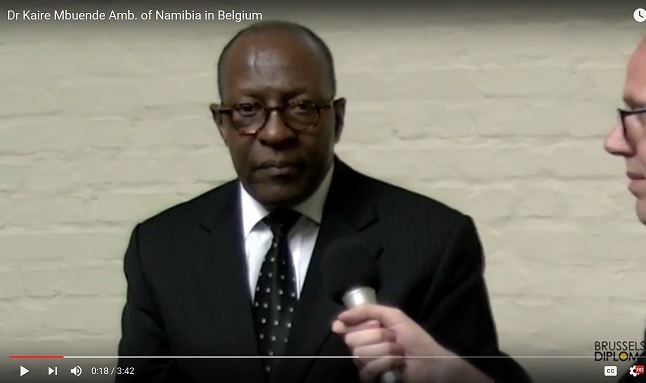 I think you know where you belong, and that is here”, Mogherini concluded. The creation of the mural was one of the highlights of a cultural week EEAS organised in the beginning of April to celebrate the strong cultural connections between the EU and Western Balkans. The week paid tribute to the wealth of creativity and talent the region has to offer. It featured performances by renowned musicians from the region, artists from the social media campaign “Europeans making a difference” and presentations of the Western Balkans cultural heritage projects supported by the EU.